Soha Ali Khan and daughter Inaaya Naumi Kemmu are making the Internet happy, once again. The actress who is currently vacationing in Maldives with her family, shared more pictures on her Instagram account and cute can't even begin to describe them. 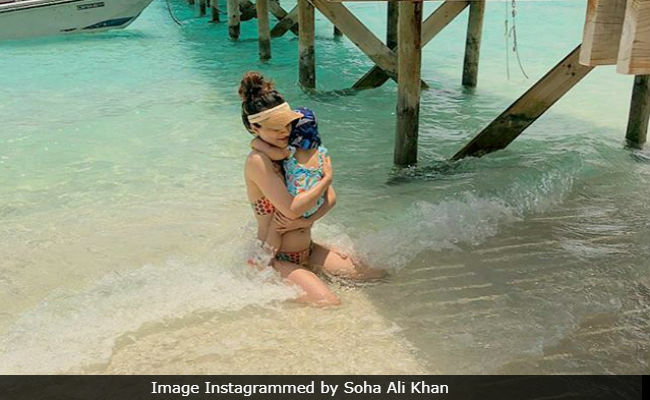 On Monday, Soha shared multiple pictures, in which the mother-daughter duo can be seen making most of their time in the blue waters of Maldives. In one of the pictures, Soha, dressed in a polka-dotted bikini, can be seen embracing Inaaya. Soha captioned the post: "First times." 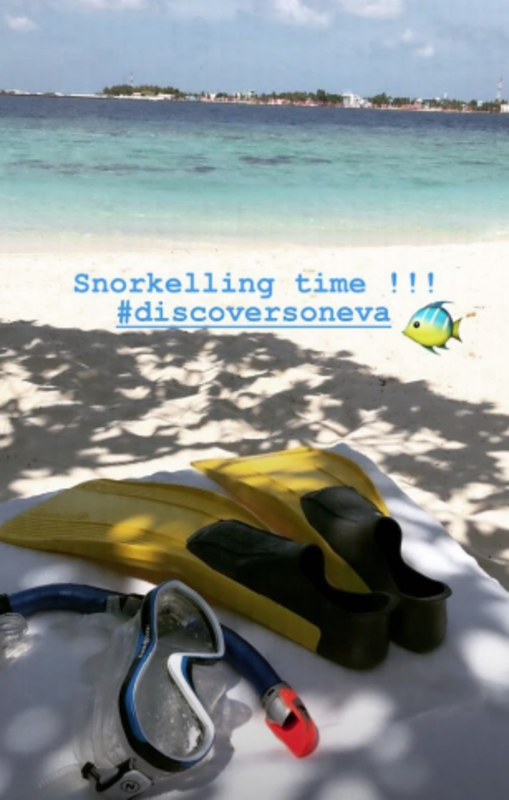 Soha also shared another picture in which she can be seen snorkeling in the deep blue sea in Maldives. 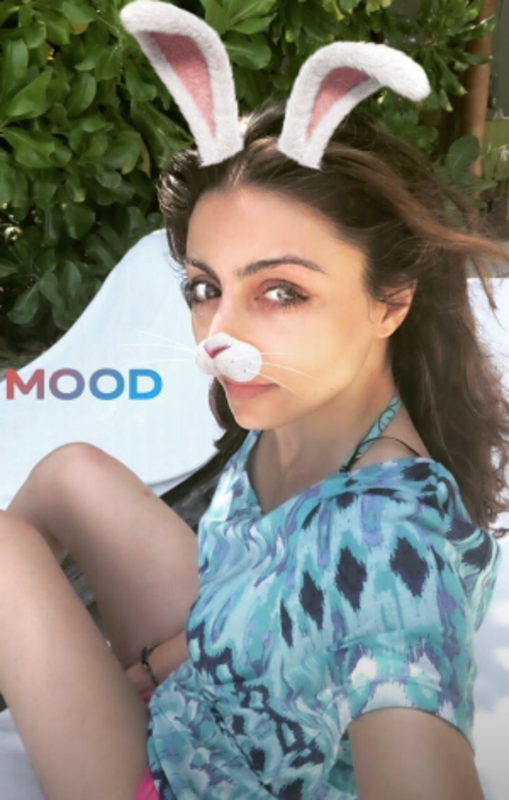 Just when we thought Soha's vacation pictures couldn't get any better, the actress shared more pictures of from her Maldives holiday on her Instagram stories and adorable can't even begin to describe them. A screenshot of Soha Ali Khan's Instagram story. Remember the picture of Inaaya sitting on the beach? Soha described the picture in the best possible manner and wrote: "My sunshine checking out the sunshine and the sea." How can we miss Saif Ali Khan and Taimur's "Hand-in-hand - feet in sand" picture that Soha shared a few days back? Or the "Make a splash" group picture, featuring Kareena Kapoor, Saif Ali Khan and Taimur that made us go green with envy. Soha and Kunal Kemmu's daughter Inaaya is frequently spotted on play dates with Saif and Kareena's son Taimur. Both the families are often spotted catching-up in Mumbai.